Ever since the release of the DS3 sport, in 2010, Citroen has been heading in the right direction. There has been an improvement in their overall sales but nothing to rave about. The thing is, Citroen has been building excellent cars in the past few years and it's going to take a while for the South African market to step out of their shell and go on an adventure in one of these brilliant cars. This may sound like you're taking a risk, but trust me, these are solid deals that are worth looking into. And one of those brilliant vehicles is the 2014 Citroen DS5 Sport. Supplied to us by Justin Singh, New Car Sales Manager of Citroen Umhlanga. Designed to take on BMW's 3-Series and Mercedes' C-Class, it's built like something out of a Star-Trek movie and looks commanding on the road. 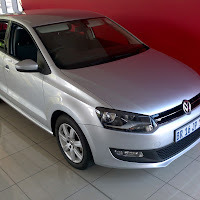 But on the non-fiction side the car is a looker, it comes with daytime led lights, double exhaust pipes and on this model the wheels were upgraded to 19" from the standard 18". Stance is slightly high but due to its design, you don't notice it at all. 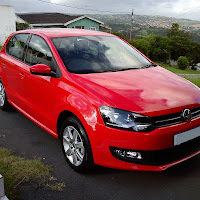 The fact is, the cars size is very deceiving, it looks like a hot hatch, but it isn't. This is a big car, and I like the fact that it looks like it's a hot hatch but can hold it's own as a family car as well. This particular model is the THP 200 Manual, which is a 1.6 litre turbo charged engine with a 6 speed manual gearbox, producing 147kw of power and 275nm of torque. Impressive figures for an engine of that size. You may think that the 1.6l power plant is going to struggle with fuel economy, being a big car, but the manufacturer claims combined fuel economy is just 6.7l/100kms. The biggest drawback with the DS5 is that if you want this kind of power in the petrol version you can only get it in manual, otherwise you will have to go for the 2.0l diesel option, which again, only comes in automatic. The petrol and diesel versions will obviously perform differently, so these options might not appeal to some buyers. Inside the car, keeping with the space ship theme, it has a cockpit styled layout, with buttons that look like they will launch a rocket if you touch them. But seriously, once you jump into the car you feel excited and thrilled to sit there. The centre console is packed with buttons that at a glance my confuse you. But once you get over the initial rush, you will find that everything is laid out logically and within reach, and you don't need to be a rocket scientist to figure it out. 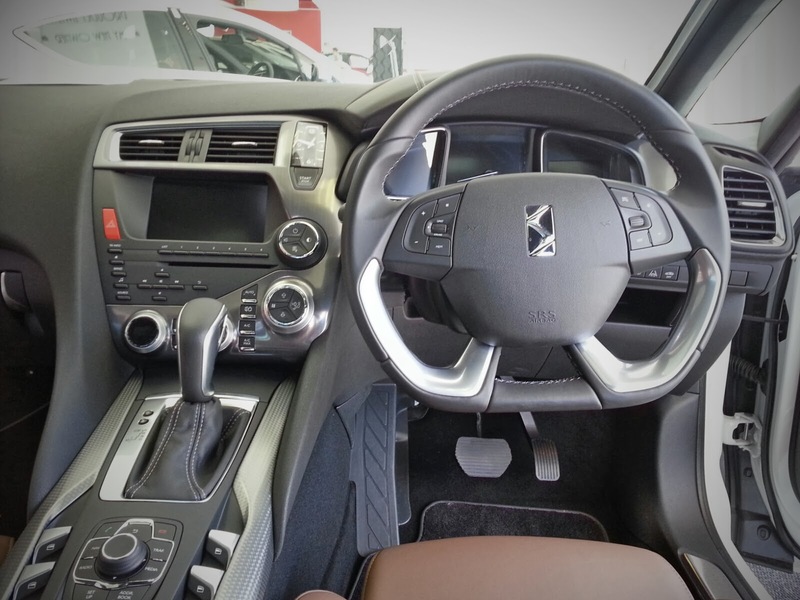 Like I said earlier the DS5 is a big car, and it shows inside the cabin. There is ample seating space and leg room all round, and fine leather trim makes the electronically adjustable seating all that more comfortable. Two things that I like about the interior of the DS5 Sport, the first being individual cockpit sunroof, which comes standard by the way. The driver and front passenger both have their own individual sunroof and the rear passengers have their own. Each sunroof can be individually electronically controlled and even comes with an electronic sun visor. The other feature that I like is the colour heads up display. You can view vehicle information on a pop up glass that will show you stats like speed, avg. consumption etc. These two features are standard in the Sport edition. Now let's get to the road test. We did our usual route to Sibaya and back and got to test all aspects of the car. Firstly for a big car that has a small engine I was amazed that it had that much power. Engine response was instant and whether you were on the freeway or winding around bends the car was pushed forward at your command. And although we didn't have economical driving in mind the car did an impressive 7.1l/100kms and if you drive it right I'm positive that you can achieve the factory claimed 6.7l/100kms combined cycle. 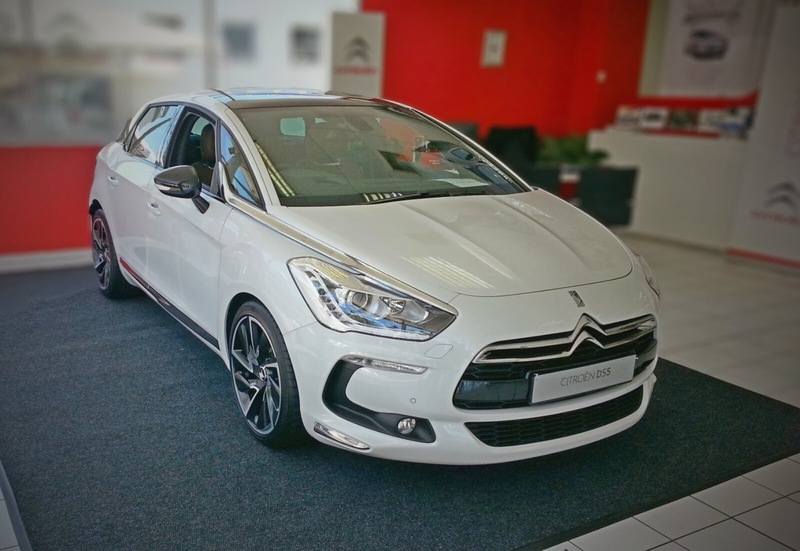 Being a fully loaded car and set to compete with the Germans the Citroen DS5 Sport weighs in at R436 900 (2014). And at that price Citroen has thrown in a 3yr/100000km warranty and a 5yr/100000km service plan. Although pricing is a bit high, consider the extras that you have to put in with other cars as opposed to what comes standard on the DS5. about the interior of the car, keeping with the space ship theme, it has a cockpit styled layout, with buttons that look like they will launch a rocket if you touch them. To have help in changing the oil and brake pads this car manuals of cars Citroën an amazing solution and it is absolutely free. The spread is a point of advance sportsbook given to a weaker team that is estimated to lose a certain number of points. Physiologically speaking, team kitsthe development in this area in youths is very varied. Some children reach a high fitness standard faster than others, while others have body types that will only respond to training optimally when they get older.